The communists, in spite of the pressure of the Allied air campaigns, remained stubborn in the truce talks. On 8 October 1952, the UN negotiations at Panmunjom recessed the talks because the Chinese would not agree to non-forced repatriation of prisoners of war. As winter approached, the UN forces remained mired in conflict and accumulating casualties. 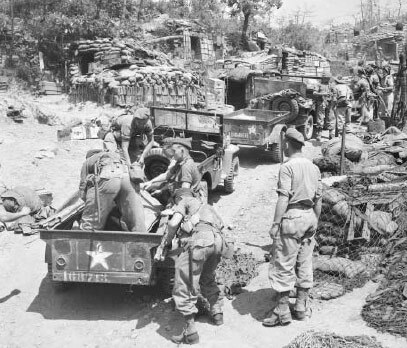 6 October, with the US presidential election in its final stages, the CCF launched their biggest attack since Heartbreak Ridge against the I and IX Corps. 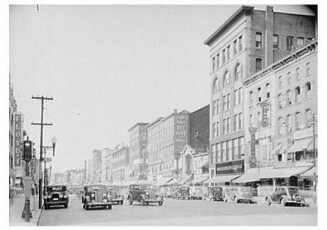 Van Fleet’s response was Operation Showdown on 14 October. 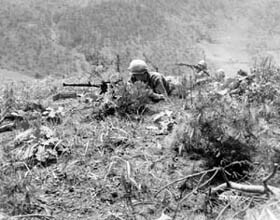 This was also known as the Battle of Triangle Hill, Battle of Hill 598 and/or Sniper Ridge and would last 42 days. The 187th RCT participated in Operation Feint as a diversion. They made assorted jumps and then would return and be put in isolation. 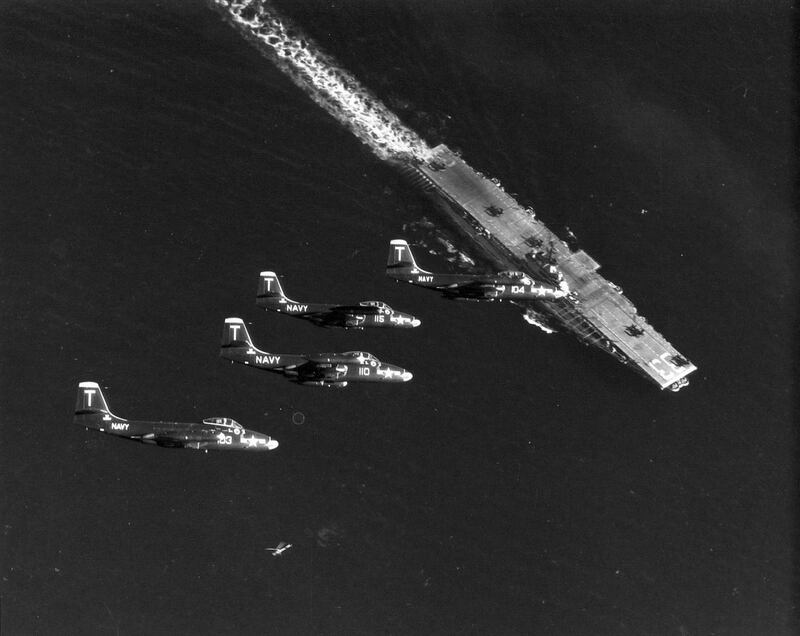 On 15 October, the Navy and Air Force, also participating, launched mock amphibious landings to fool the enemy as to where the action would actually take place. The ruse went as planned. 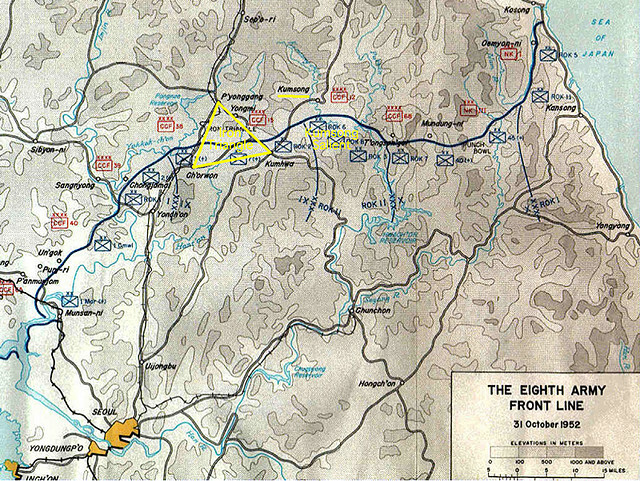 The 7th Infantry Division going against the CCF would now be considered the bloodiest of battles on the right side of the Iron Triangle near Kumhwa. The communists lost 11,500 KIA and the UN troops lost 8,000; this was listed as a failure in the archives. 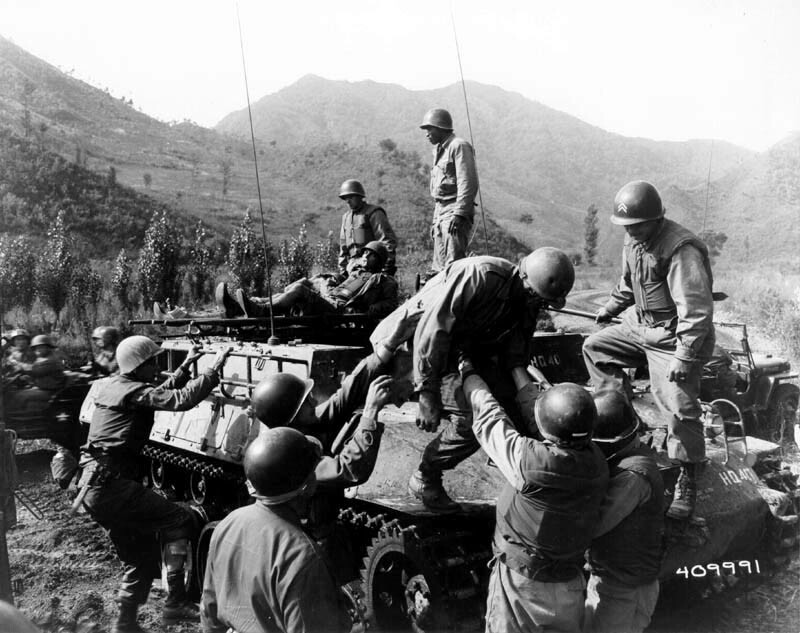 22 October, the 40th Infantry Division, assigned to X Corps, moved to relieve the 25th Infantry Division in the center of the sector (Paen-Ihyon-Ni) and defended between Heartbreak Ridge and to the Punch Bowl. The CCF bugles announced their nightly attacks from the 22nd to the 25th of the month. A battle erupted in Wonsan harbor on the same date. 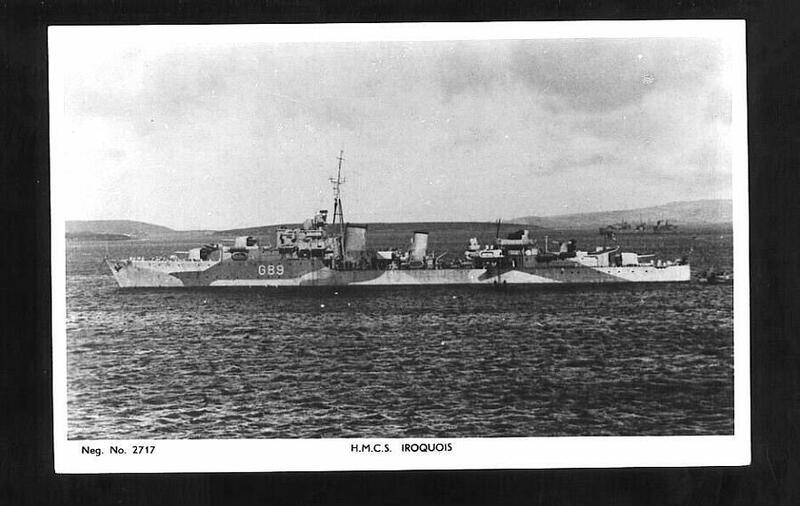 The ROKN AMS 501 and 503 (minesweepers) were fired on by 4 to 6 75/76mm guns from Hapchinni. The USS Lewis returned fire and the enemy turned their attention to them. The Lewis was hit in the fire room, disabling the No.1 boiler. A second shell hit the fantail; 7 men were killed. Attacks on the Reno, Carson and Vegas outposts went on for days. 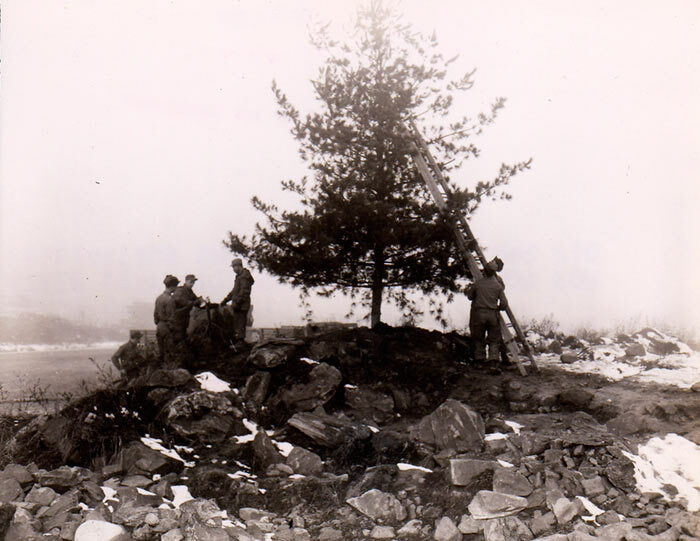 At the height of the battles, the Reno outpost was almost encircled by the CCF. The blocking platoon was not detected and the enemy set up right in front of them; the CCF was taken by surprise. This heavy combat caused 60 more KIA. 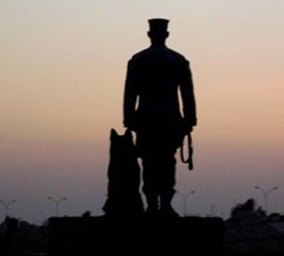 The Marines lost 9 men and 49 WIA. For 3 days, the line of outposts on the left, KMC troops, were subject to continuous shelling of all calibers. 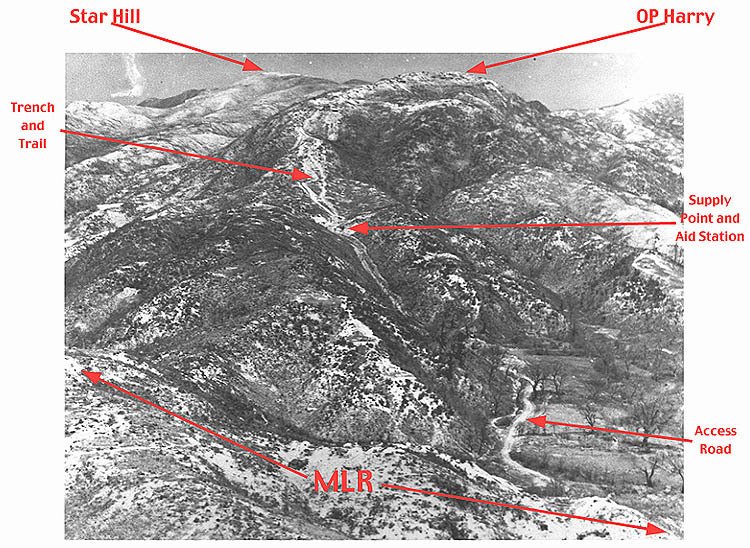 31 October, the CCF, in battalion strength, overran the eastern end of outpost 39 and 31 and reinforcements were sent onto the MLR. At the same time, Outpost 33 was attacked and sustained heavy casualties. After a 2nd platoon of reinforcements were added, the enemy finally broke contact just after midnight. The 4th simultaneous attack was on Outpost 51. Here, the artillery set up planned fires and ambushes were prepared and after 2½ hours of fighting, the enemy withdrew. 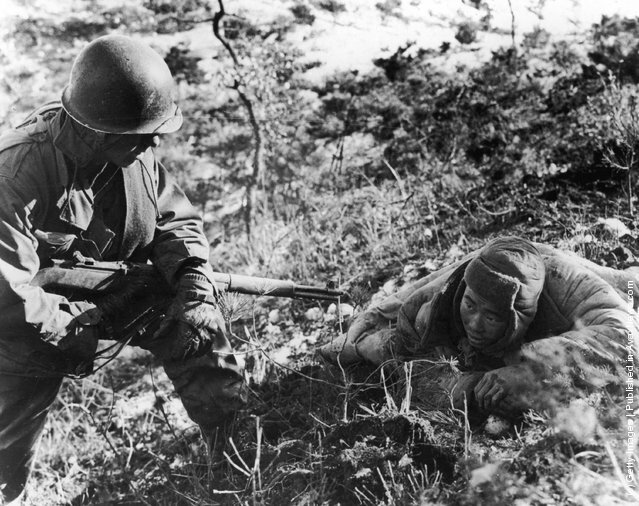 They were pursued by the extremely aggressive company of the KMC (Korean Marine Corps). During the night, radio intercepts of the enemy transmissions indicated extremely heavy casualties and disorganization. 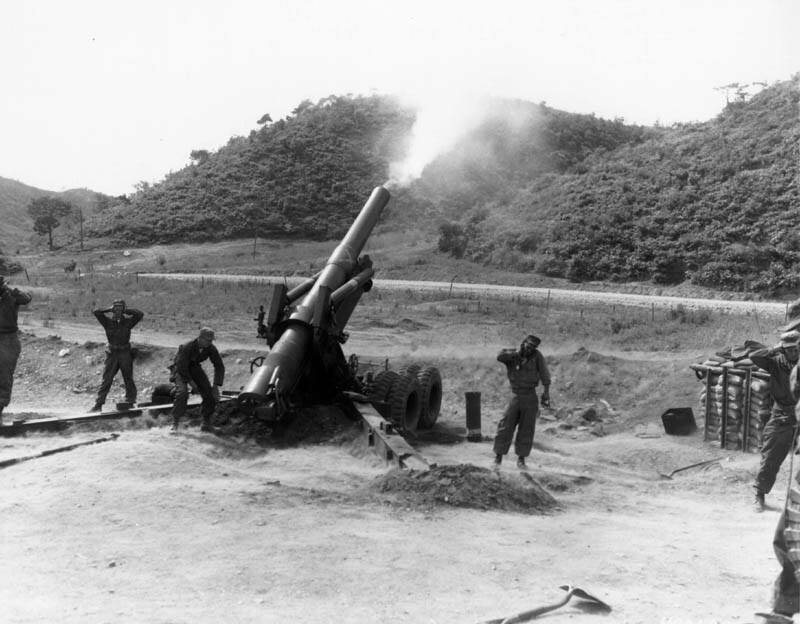 Thirteen of 15 CCF artillery positions were put out of action, 3 fire tanks were and an artillery ammunition dump of 4000 rounds were destroyed. 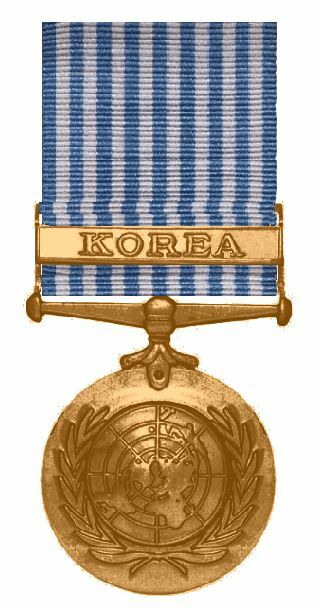 In a second intercept, the UN forces learned that the enemy general directing the attack was wounded and his driver killed. Ten enemy prisoners were captured. The 11th Airborne Division lost both their own Chaplain, Charles A. Bailey (HQ Co 511th Parachute Infantry Regiment, WWII) and his wife, Chaplain Juanita Bailey of the 11th Airborne Angelettes. They are survived by their son, Chaplain Brigadier General Charles “Ray” Bailey. Walter Morris – Orlando, FL; US Army, Ist Sgt., 2nd Lt., WWII; 555th Parachute Infantry Battalion (1st US Army black enlisted paratrooper) “Triple Nickels” unit assigned to extinguish fires from the Japanese balloon bombs. 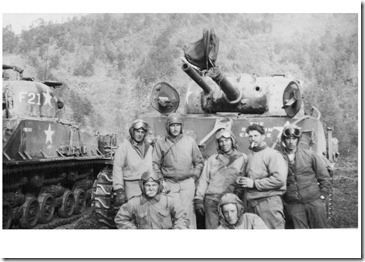 Stephen Ptak – Stoneham, MA; US Army, WWII PTO, 11th A/B Div. Any advertisements seen on these pages are from WordPress to pay for this web site, and not necessarily endorsed by Pacificparatrooper. 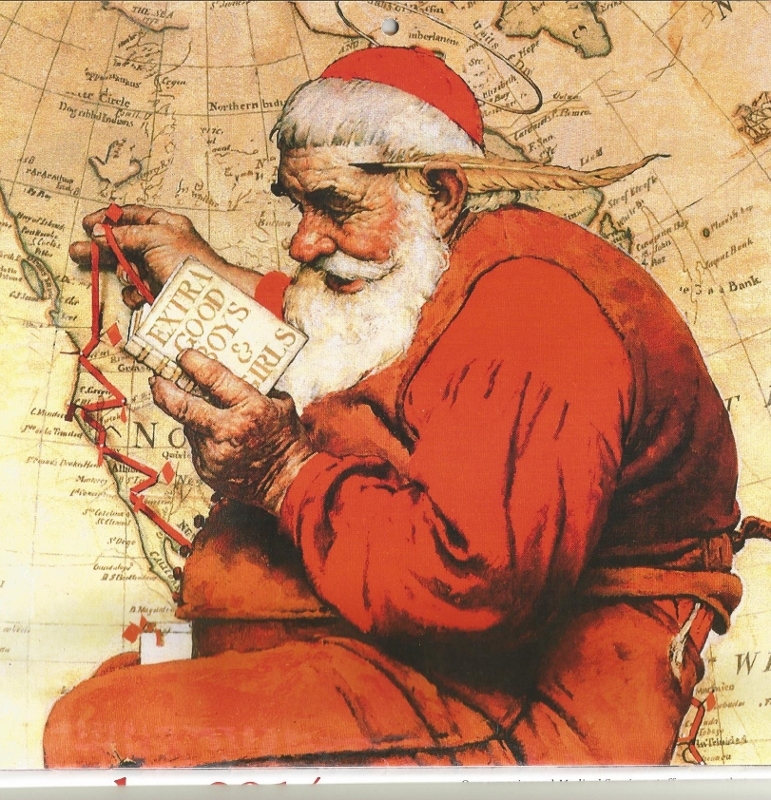 NO MATTER WHAT RELIGION YOU HOLD DEAR, THE VERY BEST WISHES OF THIS HOLIDAY SEASON GO OUT TO EACH AND EVERY ONE OF YOU. 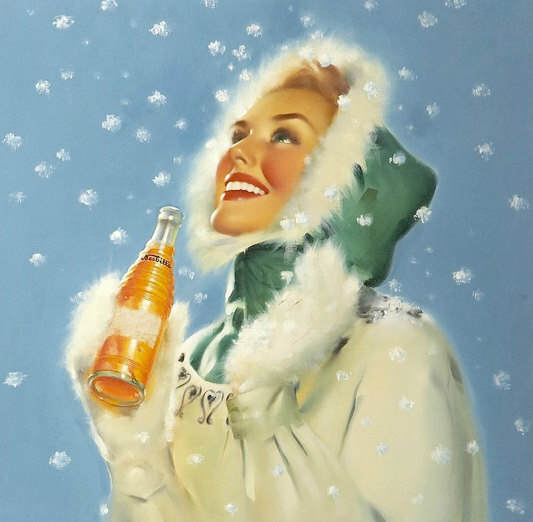 AND, I RAISE A TOAST THAT WE ENJOY A CONTINUED FRIENDSHIP THROUGHOUT THE COMING YEAR. 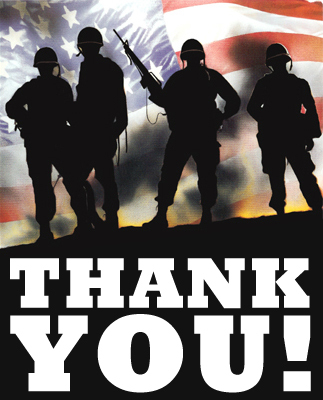 TO THE MILITARY OF EVERY PEACEFUL NATION, THANK YOU! MAY YOU RECEIVE A MAGICAL CHRISTMAS AND NEW YEAR! And to see just who in this house did live. I knew I had found the home of a soldier, once I saw clearly. And for a shining moment, I was U.S. Army deep inside. I usually post on the holiday’s actual date, but wanted to send this out around the world so that I might reach everyone in EVERY time zone. My warmest wishes and heartiest thank you’s go along with it. 1 August 1952, the Japan National Security Law became effective and the Coastal Security Force was established, independent of the Maritime Safety Agency. This was an important legal step in turning over American patrol vessels to Japanese operators. 4 August, the 187th RCT prepared to move to Chipo-ri and be put back on the front lines. Once again, just as in WWII, they removed all patches, etc. 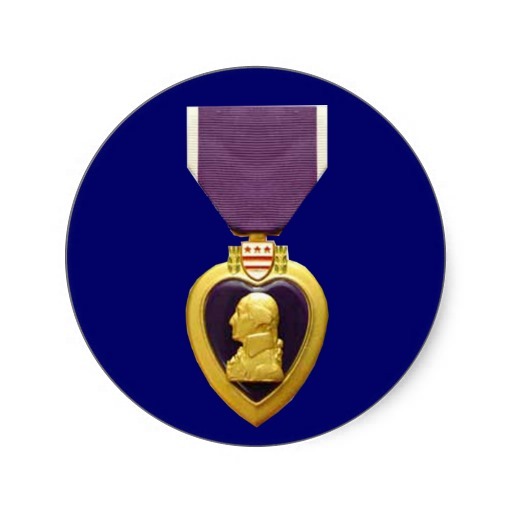 that designated them as a paratroop unit. 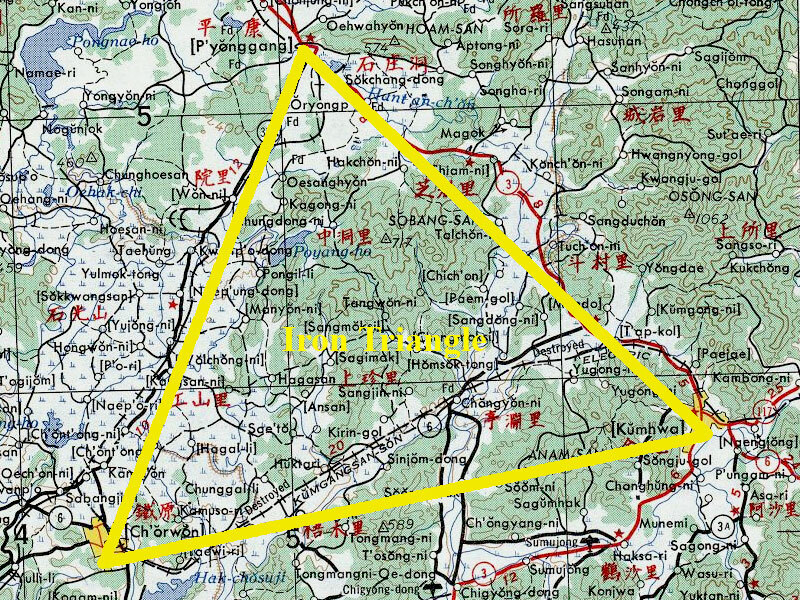 Secretly, they would travel as the “Blackjack” RCT to an area known as the Iron Triangle. The ROK Naval MTB-27 received fire from machine-guns on land in the Tanchon area. 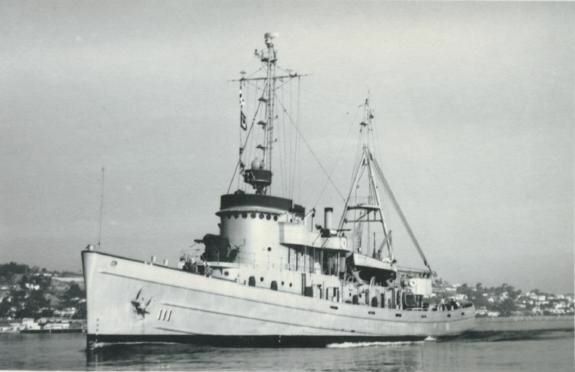 The USS Porter (DD-800) returned that fire causing approximately 75 enemy casualties. 6 August, a F9F Panther jet exploded on the USS Boxer causing gasoline and ammunition to ignite; 8 enlisted and 1 naval officer died. Helicopters and destryers of TF-77 rescued 63 from the sea, 12 other planes were destroyed. The USS Pierce (DD-753) received 7 hits from about 100 rounds of 105mm fired from shore in the Tanchon area. This caused 10 casualties, damaged the torpedo director, a 5″ mount and put holes in both stacks. 9-10 August, 4 Sea Fury aircraft from the HMS Ocean were attacked by 8 MiG-15s north of Chinnampo; one MiG destroyed. Enemy guns in the Wonsan area fired about 250 rounds at the USS Barton & Jarvis from 9 guns ranging from 75mm to 155mm. Barton suffered one man killed and 2 wounded; 2 guns destroyed. 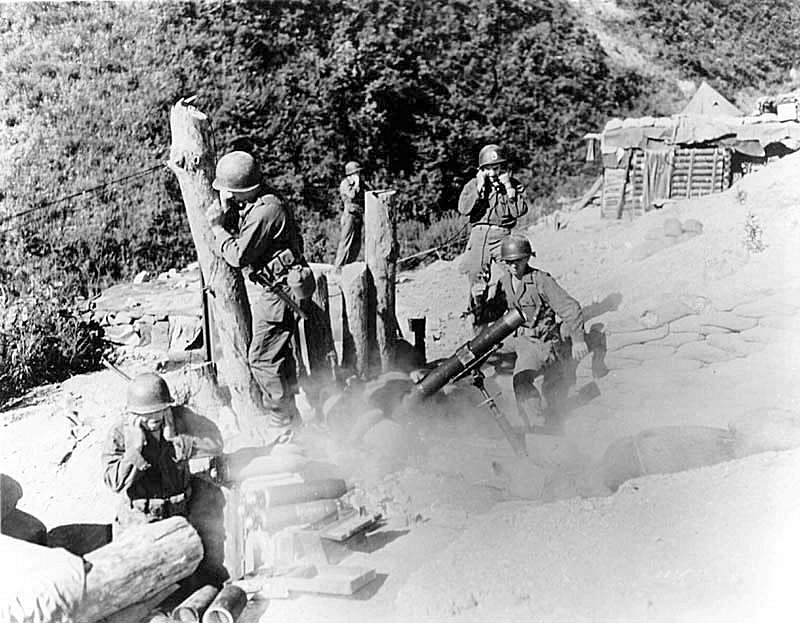 14 August, the 187th was dug into their defensive positions in the Hanton-Chon-Namdar River Valley. 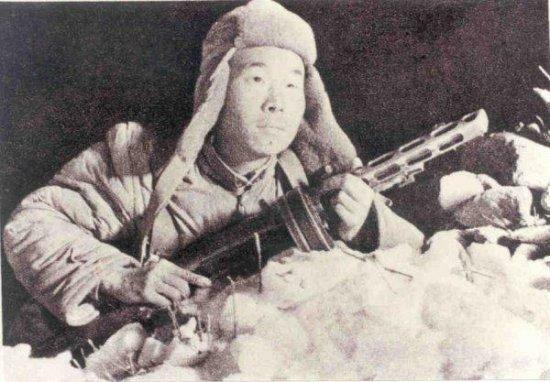 Hundreds of Chinese were spotted through the fog surrounding a patrol. Captain John Fye III was operating the Fire Direction Center (FDC) and had given the order, “Fire the Battalion in Effect.” They landed right on the enemy, but now they couldn’t see the CCF or their own men through the smoke. Faintly, word came from a radio in battle for them to continue firing the FDC. More CCF were spotted and more firing ensued; the enemy appeared either dead or disorientated. A new message said they were receiving machine-gun fire from a hill. No sooner than the gun was silenced, the battle appeared to be over. 28 August, while on patrol in the Hungnam area, the USS Sarsi (ATF-111) struck a mine and sank within 21 minutes. Of the 97 men on board, 92 were recovered. 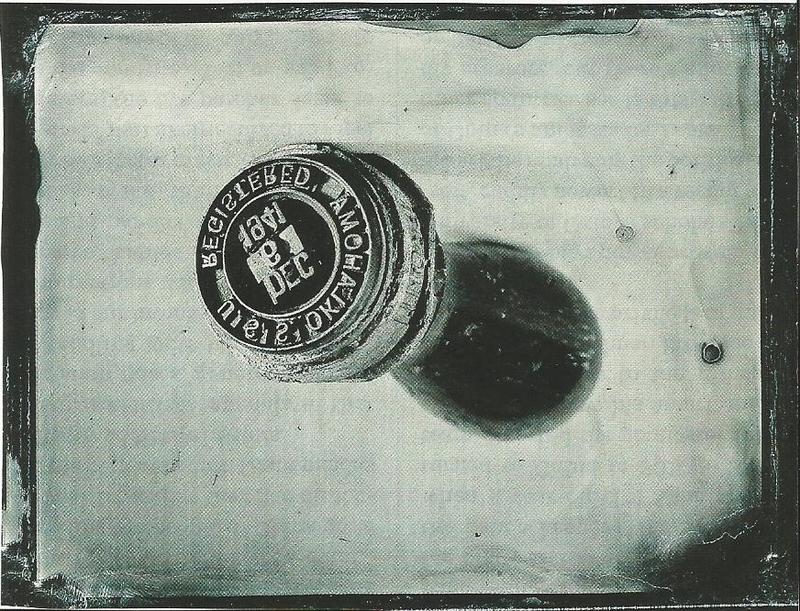 The Sarsi‘s publications were reported to be weighed and sunk, but it was not known if the bag was sealed. Operations plans were in a locked safe; 8 bags of mail were lost. A ship remained in the area to prevent the enemy from salvaging the material. During operations, until 2 Setember, the Guided Missle Unit (GMU) 90 on the USS Boxer launched 6 F6F drones against land targets. Results were one hit, 4 misses and one operational abort. 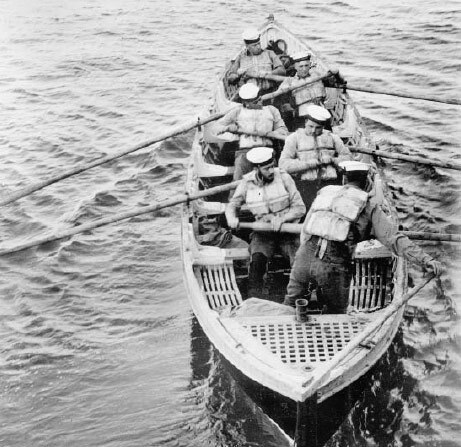 29 August, was the the largest raid in the war to date. TF-77 carriers coordinated with the US Air Force, Marines, British and Australian air forces launched a strike of well over 1,000 aircraft against Pyongyang. They destroyed warehouses, gun positions, rail cars, trucks and damaged a rubber factory and oil tanks. 30 August, salvage operations began on the USS Sarsi, discovered upright, below 10′ of water. The USS Boyd fired on the enemy’s 20 guns and tanks on shore as they fired on the boats conducting the operation. Due to this action, the decision was made to demolish the Sarsi rather than attempt salvage. During August 1952, the enemy shore batteries scored hits on 9 United Nation vessels; this was their best achievement to date. Aerial reconnaissance became indispensable in the strategy of increased aerial bombardment when the target planners sought more lucrative targets. Pyongyang, the capital of North Korea, was fairly unscathed until 11 July 1952 when the 7th Fleet, the 1st Marine Air Wing, the 5th Air Force, the British Navy and the ROK Air Force struck the targets named on the recon reports. Along with the results mentioned in previous posts, supply dumps, factories, barracks, AA gun sites and railroad facilities were hit. 15 July, 156 North Korean soldiers in 2 small junks and 4 wooden folding boats attempted to invade Changnin-do island. The HMS Belfast, Amethyst and aircraft from the USS Bataan assisted the South Korean guerrillas while under fire themselves. There were secondary explosions and the guns were silenced. Two days later, the island was back in friendly hands; 60 enemy KIA, 30 drowned while trying to escape, 41 captured and 5 MIA. The guerrillas had 8 KIA and 12 wounded. 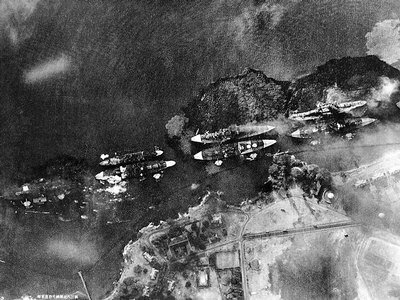 The USS Orleck (DD 886) caught 5 flat cars and 10 box cars while they were between tunnels. Ten heavy field guns on the flat cars and the explosives in the box cars were destroyed. 23 July, during the last week of July, the units of the Underwater Demolition Team 5, supported by the USS Diachenko and 2 ROKN motor torpedo boats, conducted 6 successful raids against enemy fishing facilities. Besides destroying the nets, boats and waterfront buildings, they returned with 5 prisoners. 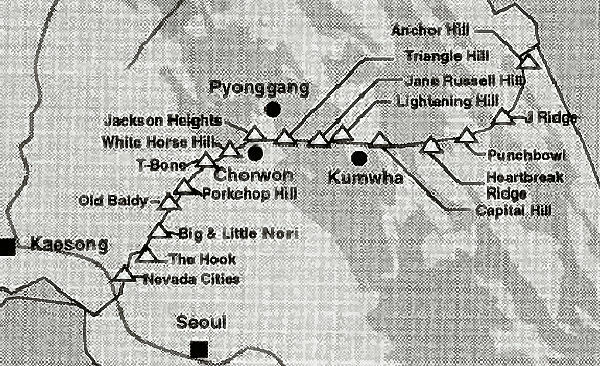 26 July, a ROK intelligence report stated that a large scale exodus was leaving Kaesong. The agent that brought the news said that families of high-ranking officers, the supply corps for the Panmunjom troops and most other troops had left during the past 2 weeks. 27 July, the Sindok lead and zinc mill that shipped about 3,000 tons of processed metals to Russia via China each month was 75% destroyed by Task Force – 77 aircraft. 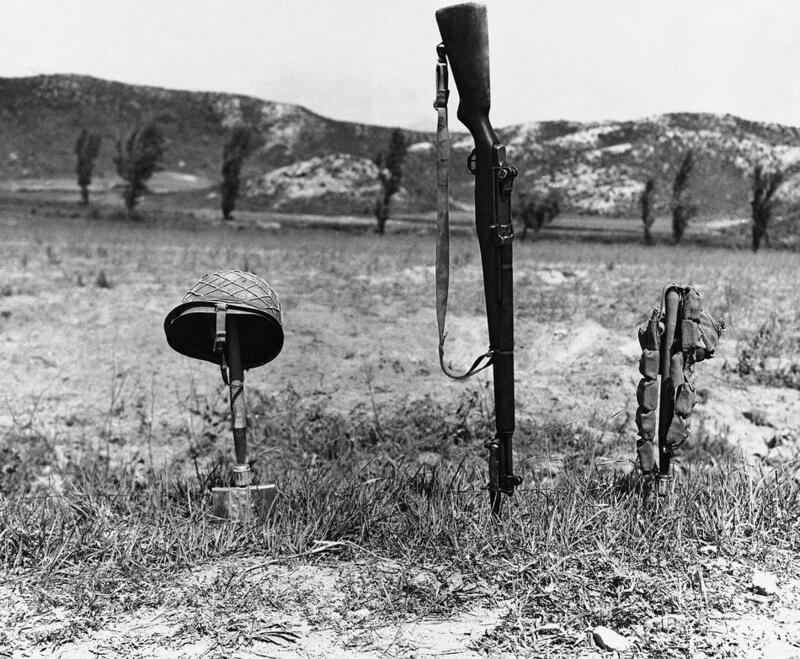 The rainy season in Korea had started and ground troops across the entire Korean front decreased their activity. 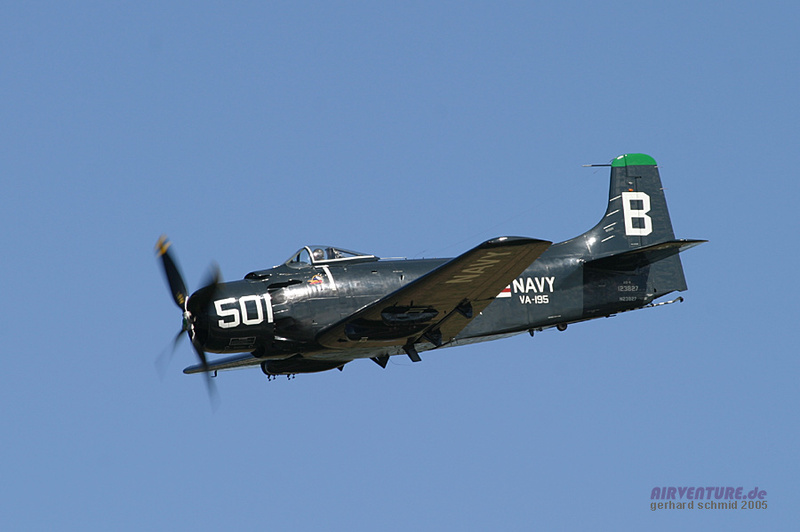 28 July, 38 US naval aircraft, 13 AD (Douglas “Skyraider” single-engine plane) and 25 F4U (Vought “Corsair” single-engine fighter), in two strike groups off the USS Princeton attacked a magnesium plant and their facilities at Kilchu. The damage was estimated at 60%. 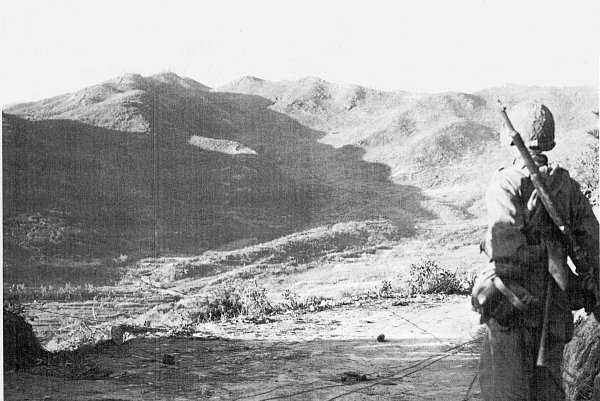 29-31 July, Colonel William Westmoreland USMC, also a paratrooper, took command of the 187th Regimental Combat Team, ‘Rakkasans’ in Taegu. The rainfall average was 3″. The US FEAF B-29s hit the aluminum works near the Manchurian border, 4 miles south of the Yalu River. The largest night raid to date. 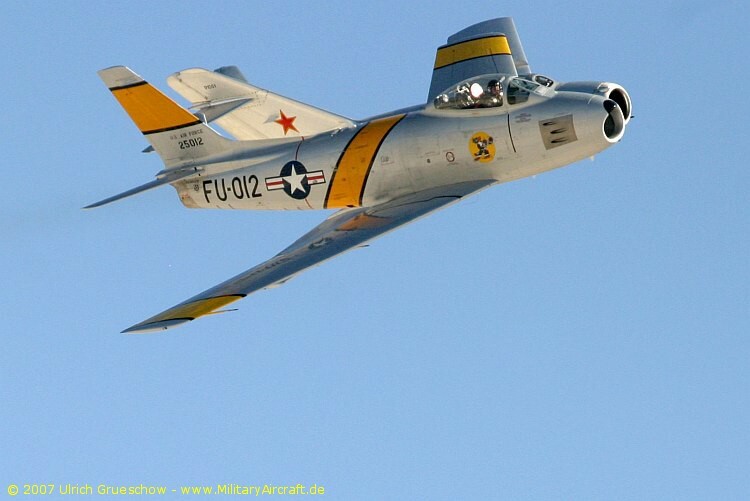 Over the Yellow Sea, 2 MiG-15s attacked a navy PBM (Martin “Mariner” twin-engine flying boat) on a recon mission. The tail gunner and one other man was killed and tail turret was knocked out. The PBM lowered to 250 feet as the enemy continued its attacks and then returned north. The PBM was forced to land at Paengyong-do for repairs and care for 2 men injured. During July, the bad weather hampered carrier operations and also restricted those of the Marine Air Wing. I also wish to express a Congrats to the Navy Midshipmen for their win at the Army-Navy game this past Saturday. “From the 63rd CCF Army – 2 divisions on the front with one division in reserve. This is supported by the 1st CCF Armored Division in the Taedoksan area to the Sami River for the enemy 187th Division and the area north of Panmunjon for the 189th Division. Both of these groups were in contact with the UN forces. “According to intel sources, these are 3 battalions of Organic Artillery directly opposite our lines as well as 6 artillery battalions and one battery of 76mm mountain guns. Their arms closely available to the enemy included 76mm howitzers; 37mm AA guns; 60mm, 82mm, 120mm mortars; hand guns and recoiless rifles. “The CCF were in the front in well-dug trenches extending well into the rear positions with constantly improving communications. The armored vehicles were spread across the front. Anti-tank trenches and minefields were across the roads entering their positions. The enemy has recently been creeping forward and occupying high ground. Enemy patrols have gone out (all activity at night) to capture prisoners and supplies. “The combat efficiency is excellent. (The text of the Marine record states in caps:) DON’T UNDERESTIMATE THIS ENEMY. HE IS A HIGHLY SKILLED AND DANGEROUS ADVERSARY. His supplies are distributed, no stockpiles and the reserve units – 2 regiments 2 miles away and one division is 10 miles away. The enemy was quite capable of attacking complete with fighters and light bomber aircraft, airborne operations with 3,000 men and employing chemical and/or biological weapons. “The analysis of this information is that the enemy to our front is capable of attack at any time. The 1st CCF Armored Division is capable of immediate deployment anywhere along the front. 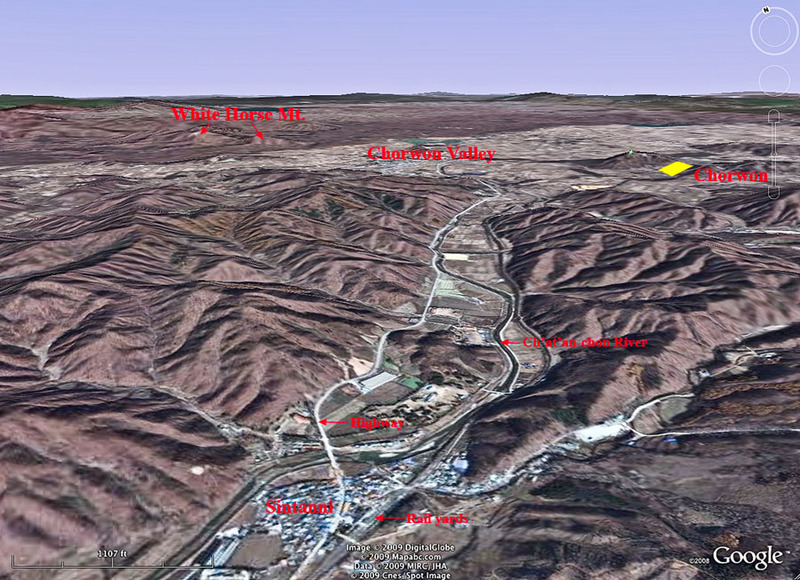 Hills 137, 147 and 126 and the Imjin River are logical objectives. Terrain in area is suitable for the enemy. The report continues on, stressing advisement that Marines are looking at a huge force of CCF with reinforcements directly behind them. Patrols from the enemy are a constant threat, especially at night, but all of this must not distract them from their mission. Since parts have been censored from the de-classified documents, I can not relate exactly what that mission was outside of defending the MLR. 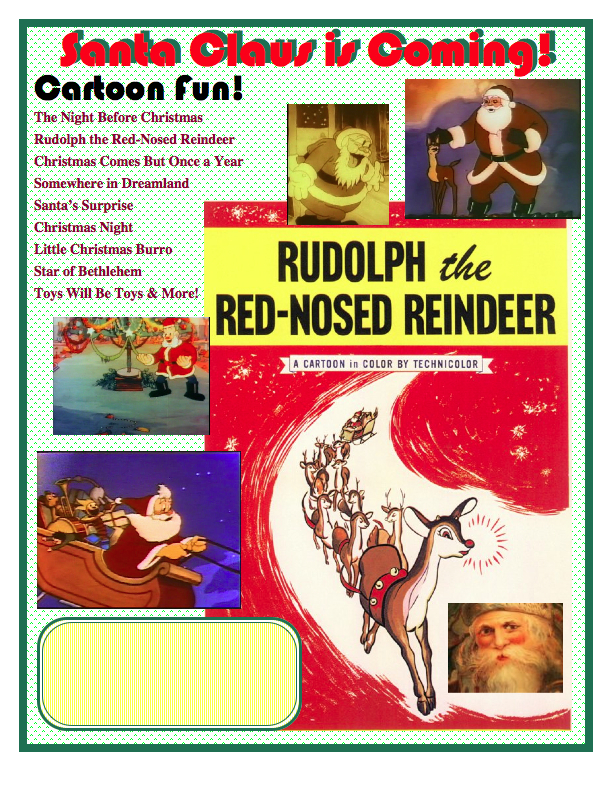 Click on images to view actual size. 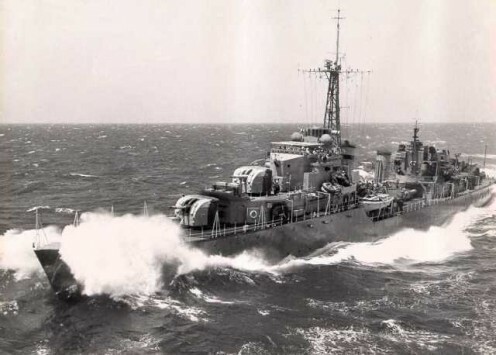 15 June 1952, the HMCS Athabaskan and ROKN AMC-301 supported a guerrilla raid in the Tokhyon-san area. 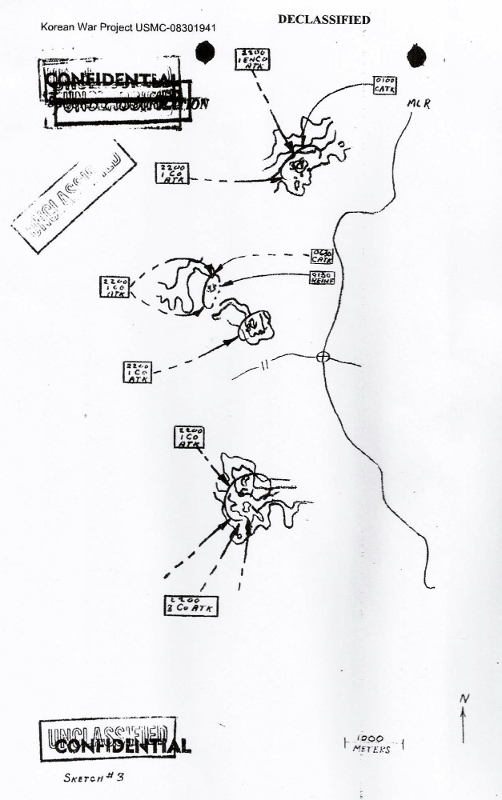 The guerrillas went down the peninsula under aerial strafing and then withdrew; causing 60 enemy casualties. The naval bombardment caused 30 casualties. Two junks loaded with fuel and secret documents were captured. 20 June,the USS Bayonne destroyed 17 sampans in the Hungnam area while under fire. The USS Horace A. Bass started a series of 4 amphibious raids for intelligence and destruction by landing ROK troops at night on selected targets along the northeast coast. This operation would last three days. 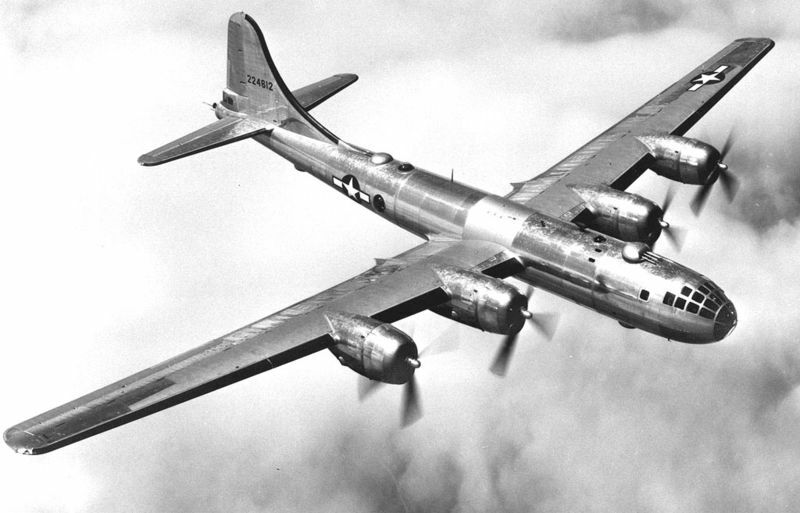 23 June, was the first time B-29s were used in Korea; this was Operation Strangle. Four CVs launched a total of 290 aircraft and teamed up with the 5th Air Force to attack the communist hydro-electric plant at Sui-Ho Dam (4th largest in the world) on the Yalu River and at Kyosen, Fusen. 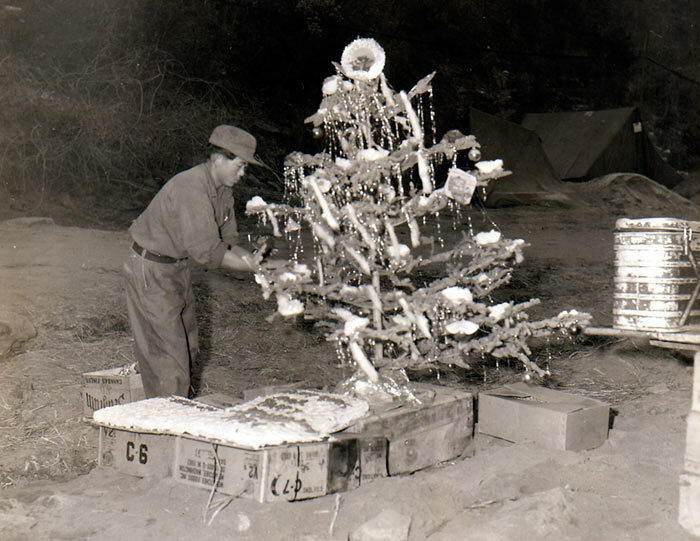 All 9 different plants were hit; 40 aircraft from the 1st Marine Air Group 12 attacked the plant at Chosin, scoring 20 hits; 38 F9F-2 aircraft from MAG-33 destroyed a different plant at Chosin. All these sites were located midway between the Sea of Japan and the Manchurian border in northeast Korea. 24 June, planes from the US carriers continued their attacks. The final count of all the transformer stations in the Hwanghae Province showed all installations at Yuchon, Haeju, Chaeryong and Kaishu destroyed; those at Changyon damaged by rocket and bomb attacks. 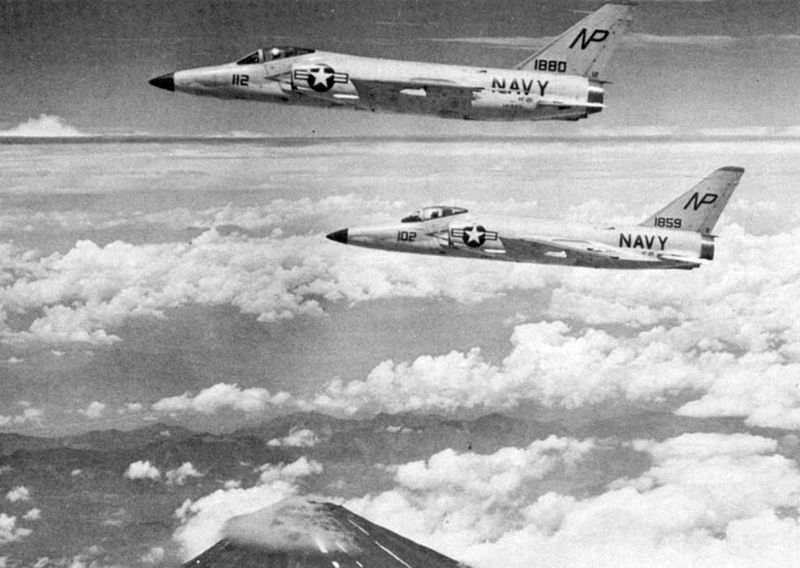 25 June, the planes launched from 4 US carriers (TF-77) flew 193 sorties striking military targets in the Wonsan area. 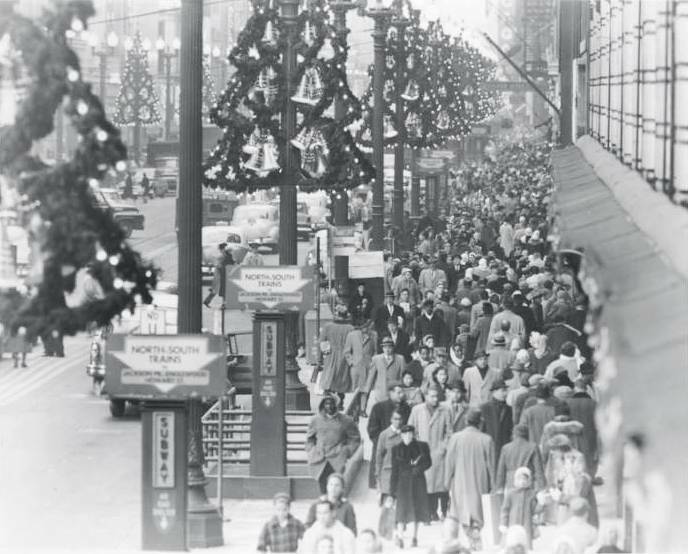 The action here signified that the war had entered its third year. The Yodo Air Strip project started on 3 June was now completed. 3 July, TF-90 amphibious vessels began redeployment of 70,000 trouble-making POWs from Koje-do to the new camps on different islands. This operation was take two weeks. The aircraft of TF-77 attacked the power complexes at Fusen and Puryong. All this time, the 1st Marine Division had been receiving new troops to maintain their capability to occupy, protect and actively defend its area of responsibility of I Corps, 8th Army. 350 guerrillas carried out a successful raid on the peninsula north of Mudo Island with the support of the HMS Comus. 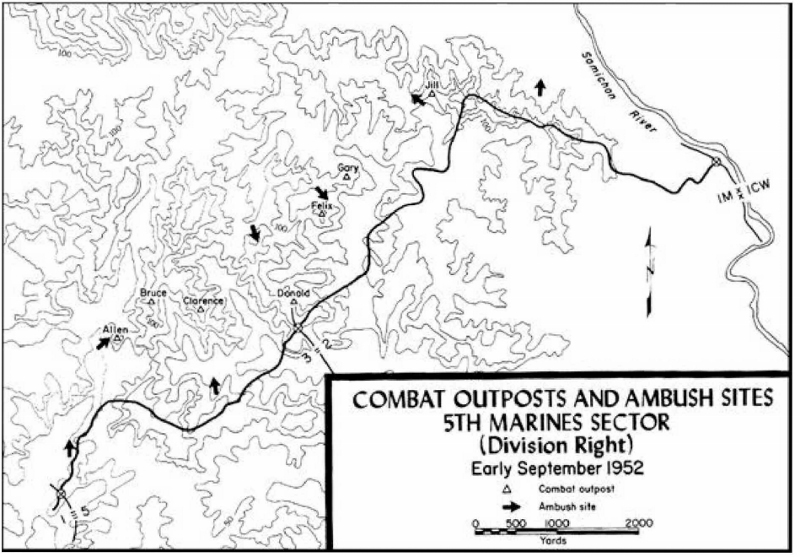 6 July, on orders from I Corps, the 1st Marine Div. 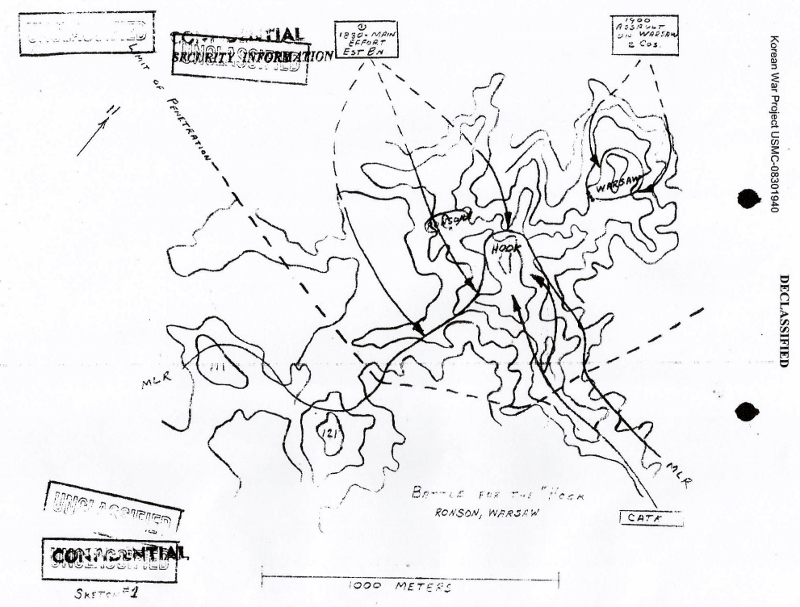 initiated Operation Buckshot, a large scale infantry raid on enemy positions. The USS Philippine Sea (CVA-47) completed her second Korean cruise and VF-112, the F9F squadron aboard her, completed their entire combat tour without loss or damage to a single plane. 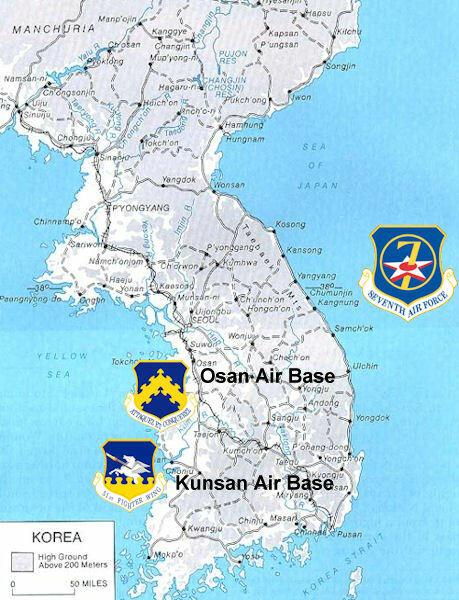 7-10 July, TF-77 pilots reported much traffic moving north of Hungnam on the route from that city to Hongwon. On the west coast, a coordinated air-sea strike was conducted against the Sillyon Myon peninsula, north of the Taedong River. HMAS Warramunga and the USS Kimberly destroyed all coastal and AA guns. Aircraft from the HMS Ocean deamaged a transformer station. Truce talks were now entering their second year. 11 July, one of the largest raids of the war, a joint UN effort against Pyongyang began. This included planes from US ships and the Ocean, US and Australian Air Forces, all attacking industrial targets. Photos showed very successful hits and later, intelligence reported a large hit on an enemy shelter caused 400-500 casualties, including government and high communist party members. Three North Koreans in a sampan surrendered to the USS Holister near the island of Mayang-do. The ROK Liaison oficer aboard ship interrogated the prisoners and confirmed the presence of 5 guns on the mainland opposite the island. The guns were situated in caves and rolled out on tracks to fire at approaching ships. 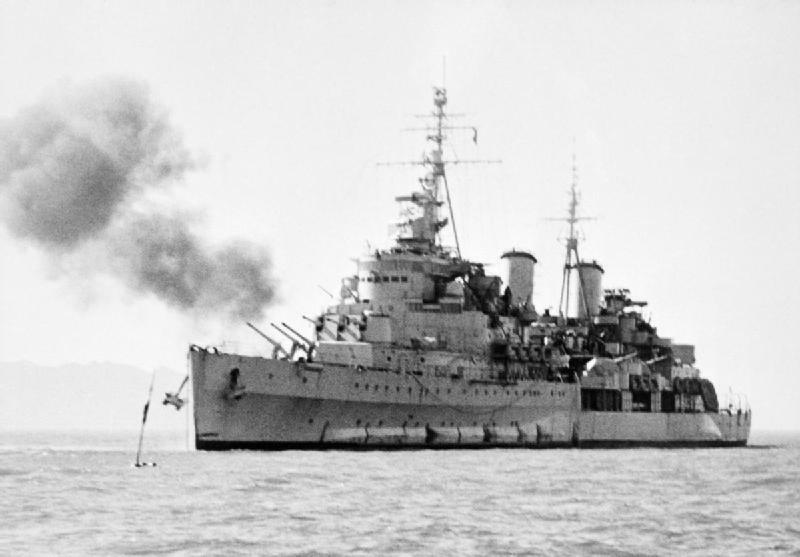 In the Haeju area, HMS Comus (DD) neutralized the mortar fire and spotters reported her guns killed 47 and wounded 23 of the enemy troops. When diplomacy failed and power and greed survived – the Pacific skies went dark…. This relic marks the movements before the U.S. was launched into WWII….To record when a piece of mail was processed aboard ship, the Navy used wooden postmark stamps. 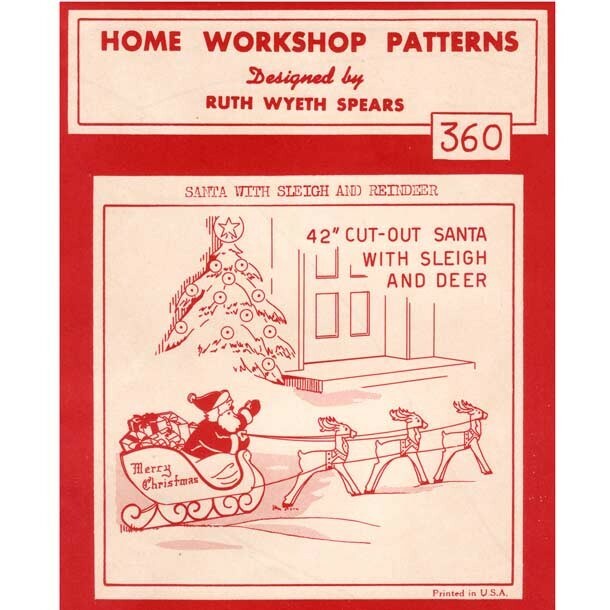 This one bears an ominous date: 6 December 1941 PM. It was recovered from the battleship Oklahoma after it was hit by several torpedoes, listed to a 45-degree angle, capsized and sank in the attack on Pearl Harbor. 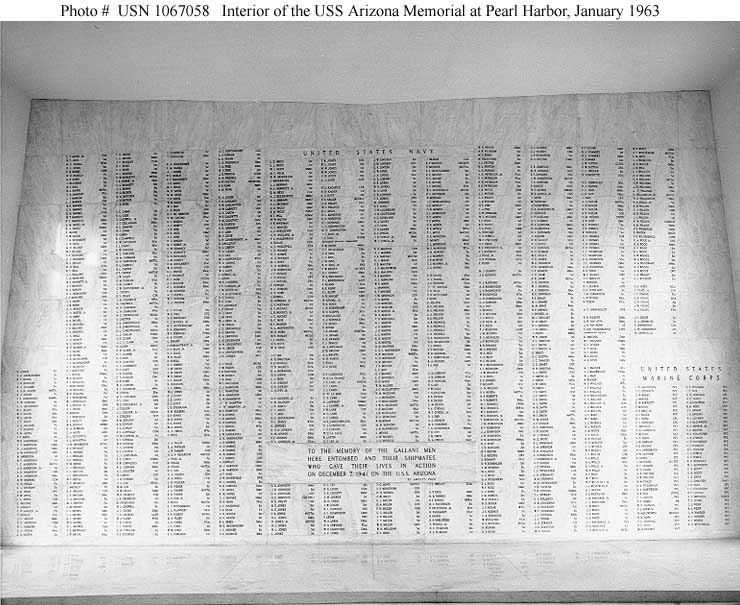 The ship lost 429 sailors and Marines; one-third of its crew. 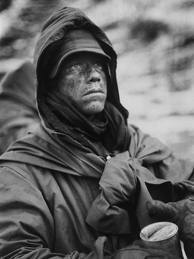 Robert Frank Rolls – Napier, New Zealand; 4th Field Regiment, WWII Sgt. 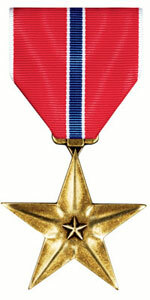 On 26 July 1959, Sgt. O’Leary left Travis Air Force Base in California and disembarked at MCAF, Iwakuni, Japan. From there he was sent to Formosa (Taiwan). 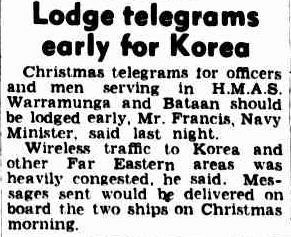 29 March 1960 he went aboard the LST Tioga and returned to Japan for a 6 month stay. Upon his arrival back in the States, he was designated the CO Gunnery Sergeant at Quantico, Virginia. 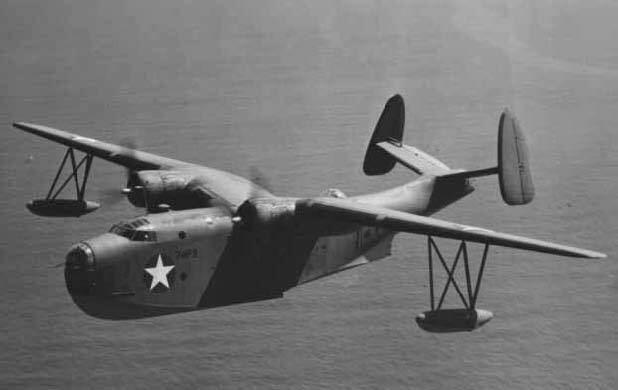 In 1962, my uncle was sent by ‘Government aircraft’ to Guantanamo Bay, Cuba. Some of you might recall, this was a very stressful time for the entire country – the Cuban Missile Crisis – after being pushed around by Nikita Khrushchev for so long, JFK finally put his foot down and war with the Soviet Union was expected. 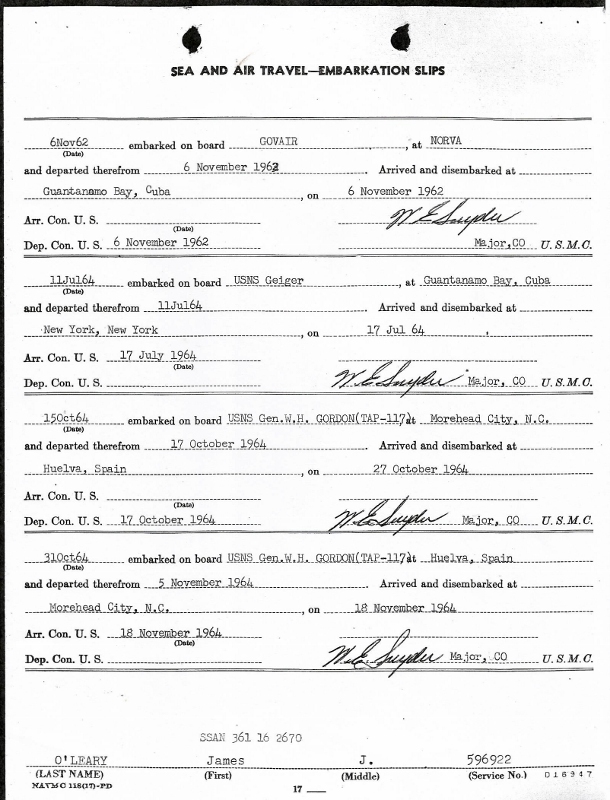 My cousin, Arthur Mulroy, USN, who had previously served on the USS Antietam 1952-1956, had re-enlisted in 1959 and was transferred from New York to Norfolk, VA in May 1962 – was on VAdm.O’ Byrne’s staff in organizing the vessels being deployed. 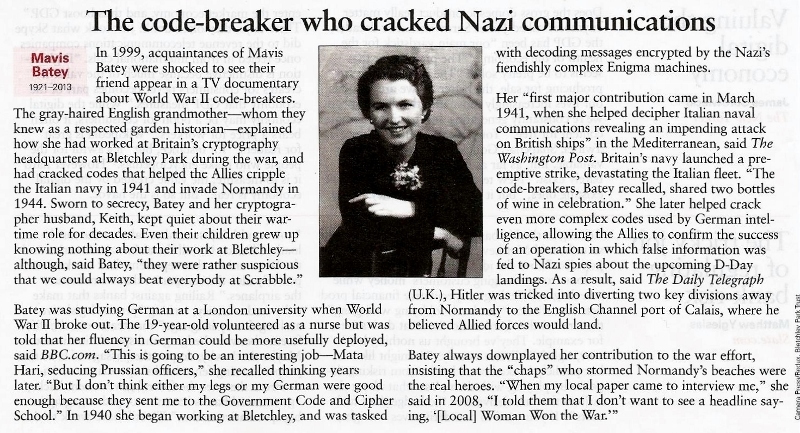 My aunt, Mabel (May) O’Leary was a civilian employee of the USMC, was also in Cuba. 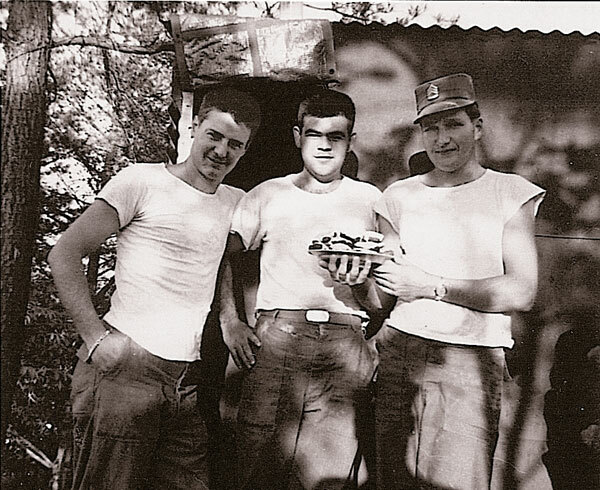 The O’Leary’s remained in Cuba until August 1964 and then it was back to North Carolina and uncle Jim’s cruise 15 October 1964 to Huelva, Spain aboard the USNS General W.H. Gordon (TAP-117) for two weeks. On 20 January 1966 as Master Sgt./HQ & HQ Squadron-37/3rd Marines, he flew to Naha, Okinawa for one year. After a year at Honolulu, Hawaii, O’Leary was sent back to Kadena, Okinawa on 24 March 1968 and the MACS-12/1st Marines Brigade. 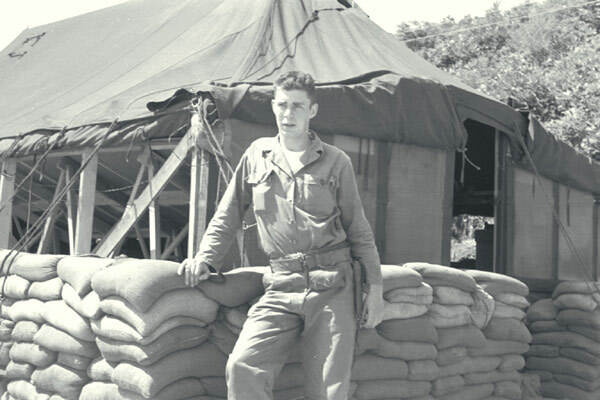 24 June 1968 he went to Camp Pendleton, CA and in July was designated as H&S Battalion, MCB, Camp Smedley D. Butler, Seattle, WA as CO. Gunnery Sgt. Fleet Marine Force, Pacific for a short stay and back to California. 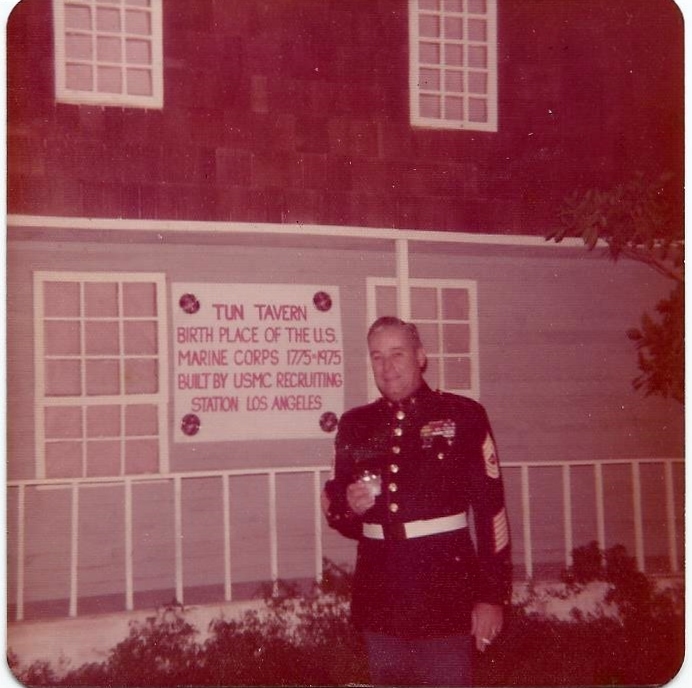 Jim O’Leary at the “Tun Tavern” in Calif. The records I received were redacted and had censoring blackouts, especially as to Sgt. O’Leary’s Vietnam and Okinawa tours, but I felt lucky to finally (after 3 years of attempts) to at least have some in my possession – It makes me feel closer to him. During his 1977 visit, we had little reason to believe we would never see him again. Mustang Koji was kind enough to take this for me after he placed a flag and said a prayer. 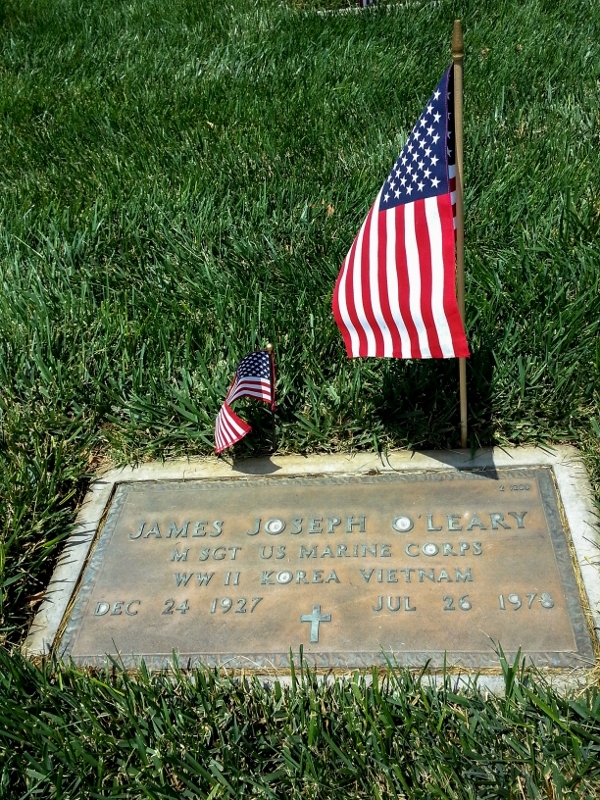 James Joseph O’Leary was born in Manchester, New Hampshire on Christmas Eve 1927 and enlisted into the US Marine Corps when he was 18 at Boston, Mass on 16 January 1946. He was my uncle, a career Marine and a man I wish I had known much better. As his sole survivor, I was able to acquire his records which I will briefly outline here and in the next post. When he became a Staff Sgt. 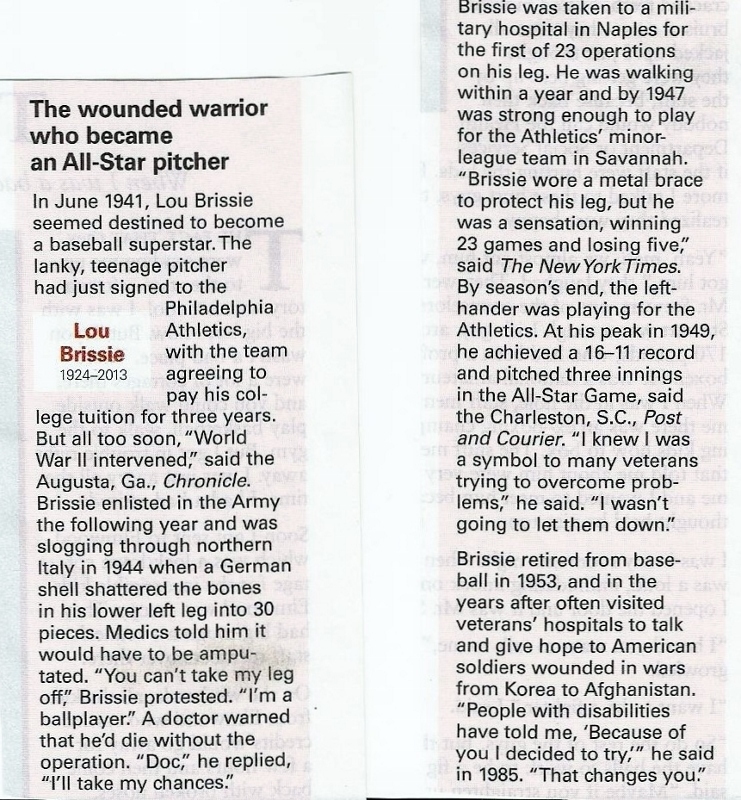 in April 1951, he was with B Company, 8th Engineer Battalion, Fleet Marine Force in Camp Lejeune, North Carolina. 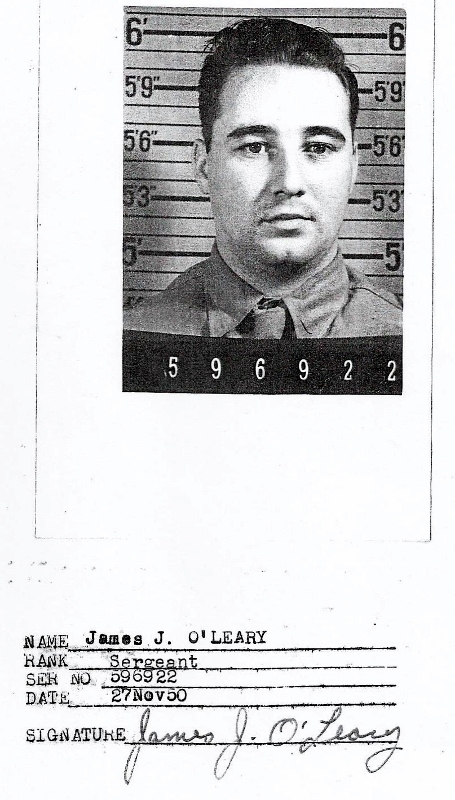 As 1st Sgt., O’Leary was shipped out to Puerto Rico August 1951. 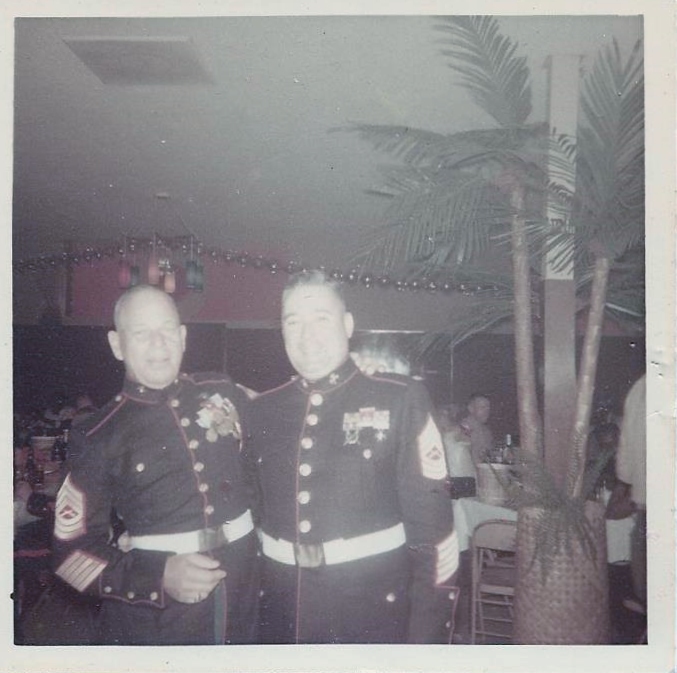 Upon his return home to the U.S., Uncle Jim remained in Camp Lejeune until he received his orders that Korea was in his future and he was off to San Diego in April 1952. As shown in the Embarkation Slip below, his first stop was Yokohama, Japan. 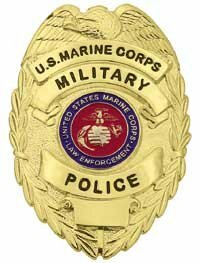 Jim’s orders sent him on to the Marine Aircraft Group-12 at the K-6 Air Base in Pyontaek, Korea as a Military Police Sgt. During his tour, he would also be stationed at K-3 in Pohang and that followed with K-10 in Chinhae. MABS-12, 1st Marine Wing returned to the States at San Francisco and Sgt. 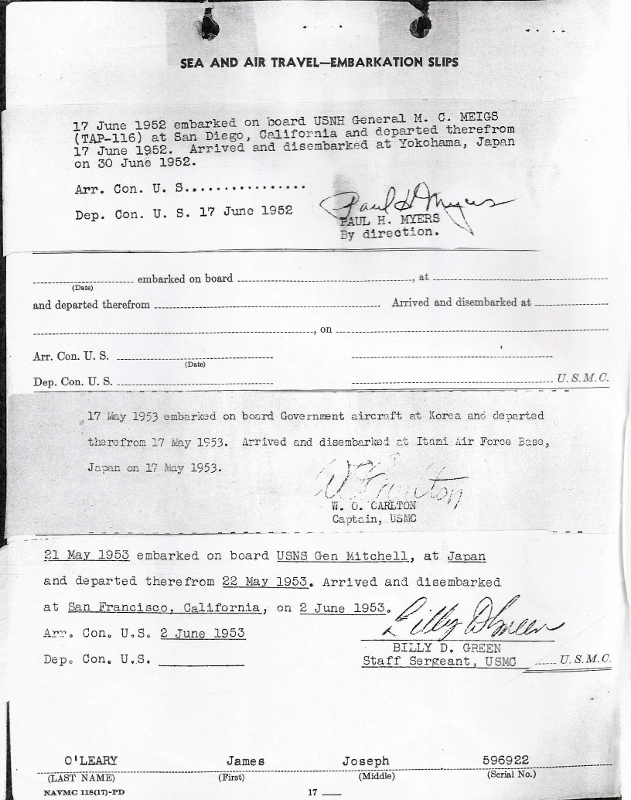 O’Leary was sent to El Toro, Calif. with Marine Air Group-15. Here was being designated as a T-Sgt. 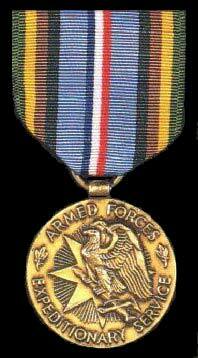 As of November 1957, his records indicated that he was with the Marine Air Wing Squadron Group-37, 3rd Marine Wing. In 1959, he is shown as the NOCIC (Commander-in-charge) of the camp maintenance department in San Francisco; MACS-4/Marine HQ/1st Marine Air Wing.